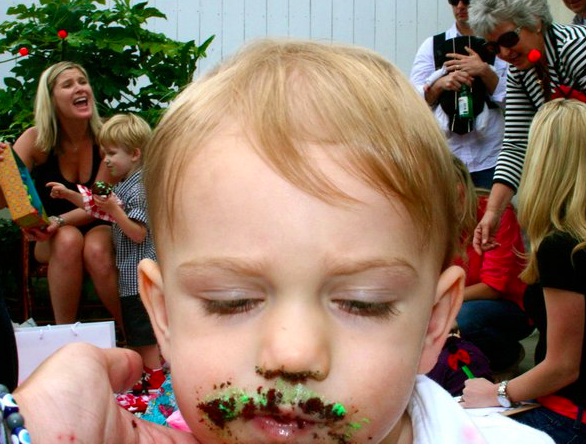 This past weekend my beautiful and to-die-for darling niece, Kevy, turned one. While she was in my sister’s tummy, we called her “Lady” as a placeholder until we learned what her name would be. 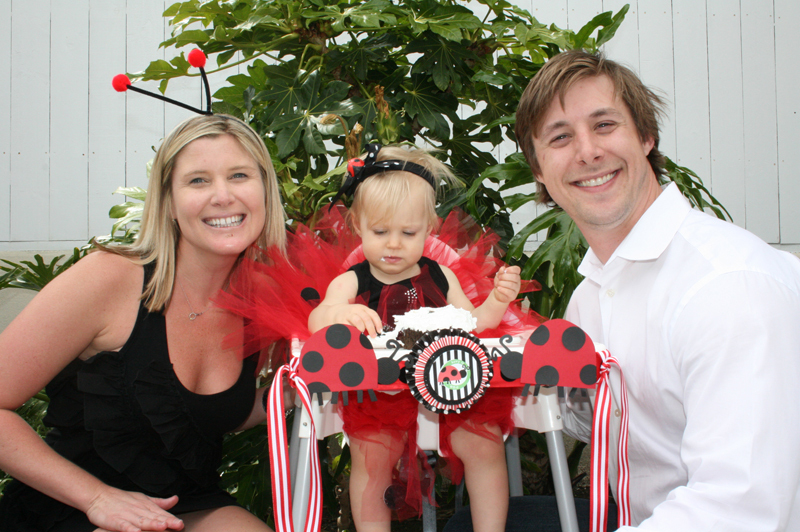 It was a natural fit that her first birthday would be a Ladybug Picnic! 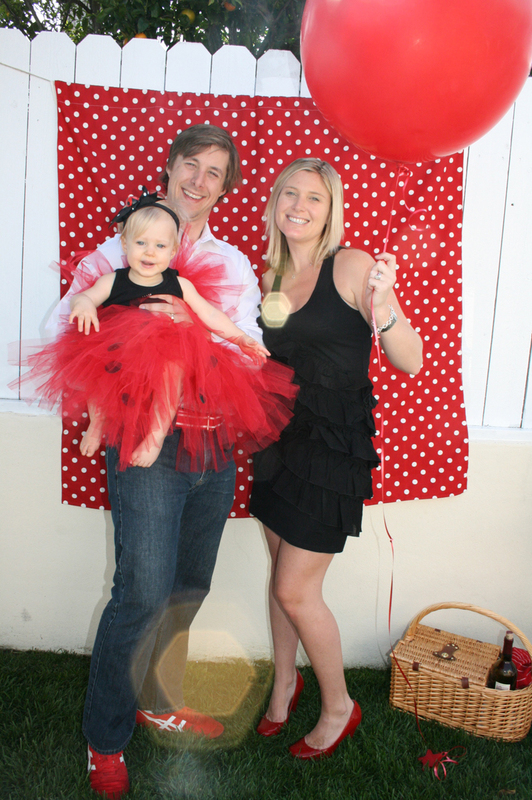 Decked out in the cutest tutu you might ever see in your life, Kevy stole the show of course. 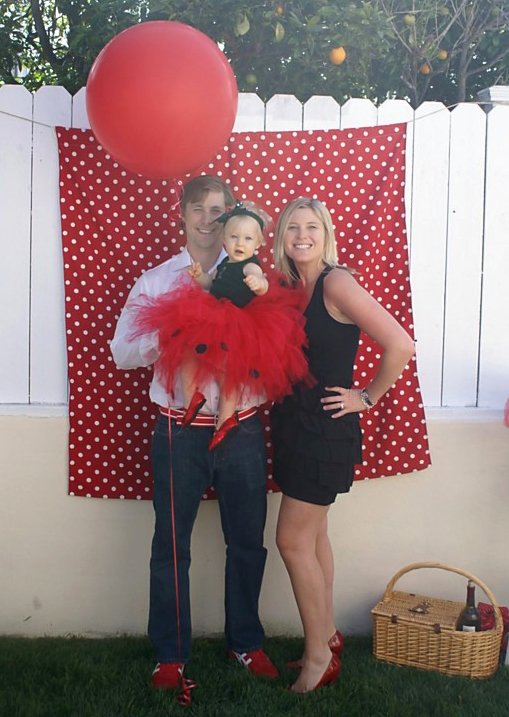 However, I think my sister and my mom put on a shindig to rival Kevy’s cute outfit! Everything was adorable (in my very humble and unbiased opinion! Hee hee!) 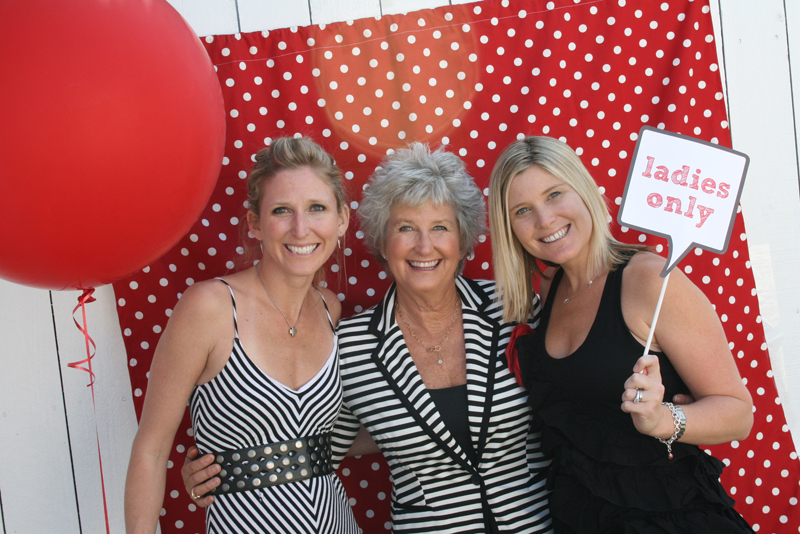 Check out the clever invitation that my mom made on the cork board there. Too cute right? 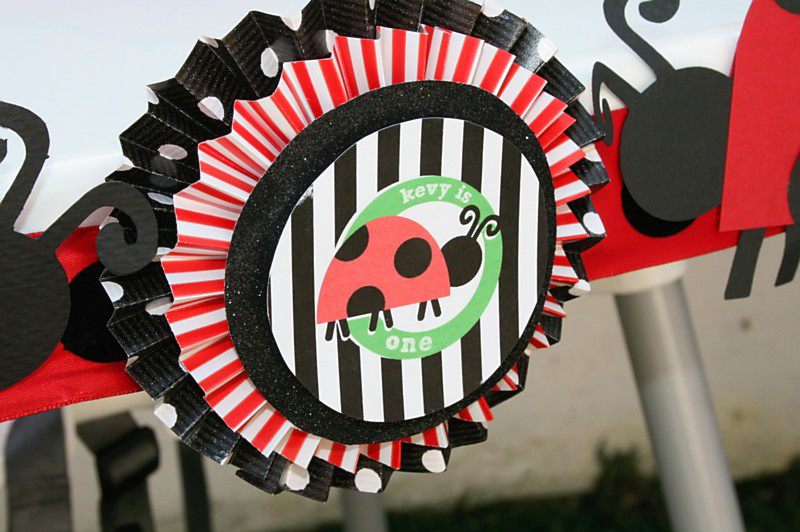 She made the ladybug with her trusty Cricut machine. Well come on in why don’t you? Repeating the theme wherever they could, they even made sure that Kevy’s headgear was buggy! I couldn’t get over it! 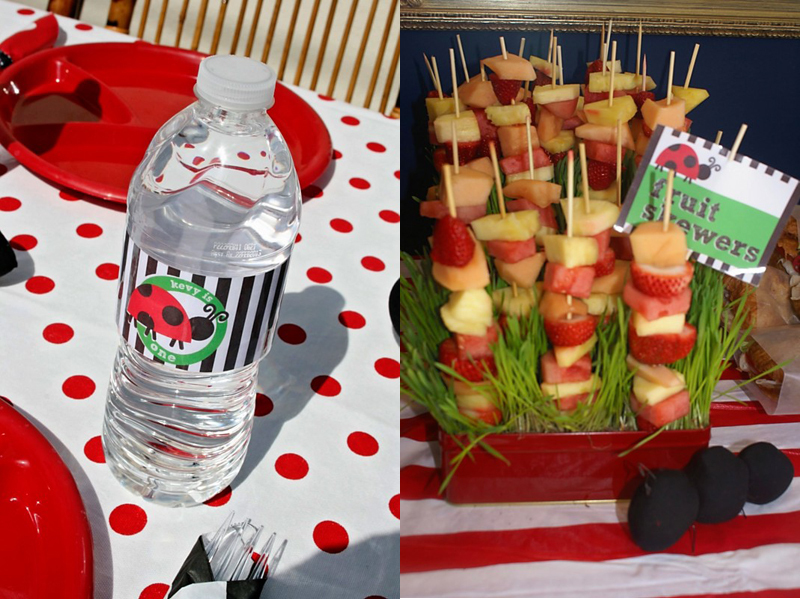 Of course there is no shortage of darling ladybug parties all over the web, but I do love the twist they added with the idea of the picnic. 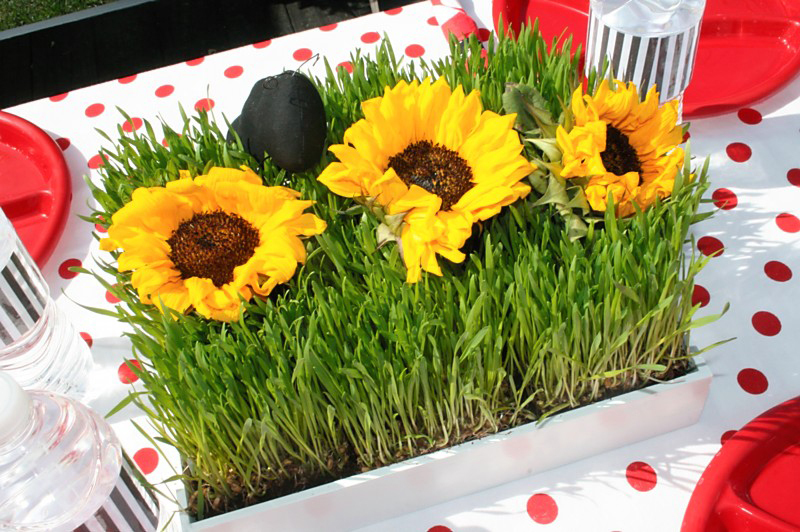 Is that an oversized ant invading those sunflowers and by that watermelon? Oh dear! Someone get the bug spray! 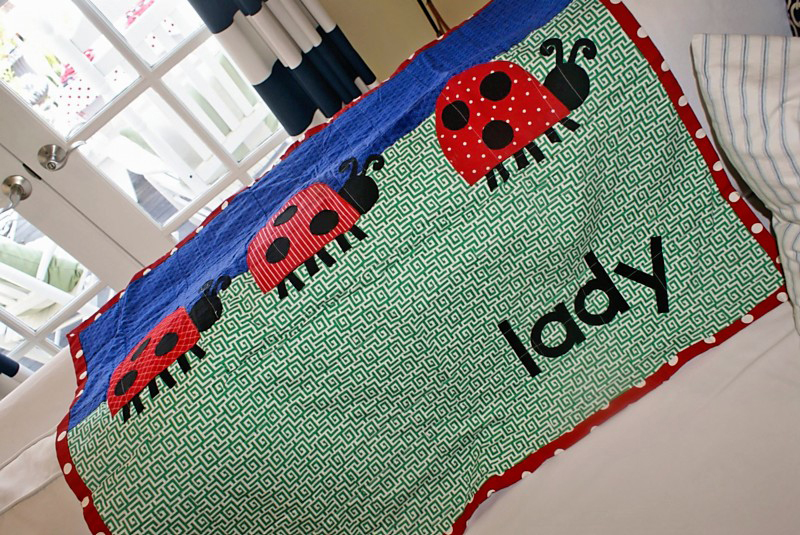 Ladybugs only please! The plates they used were pennies from Wal-Mart (oh WM, what a love/hate relationship we all have with you!) and they are a nice thick plastic. Because they were cheap they were able to get enough for all 35 adults and countless kiddosthat were there. See? Love/hate. Picnic baskets were strewn about tables and the grass. They added to the picnic vibe so nicely. Now, let’s take a gander at that triple-layered banner. Too perfect! Cricut strikes again! 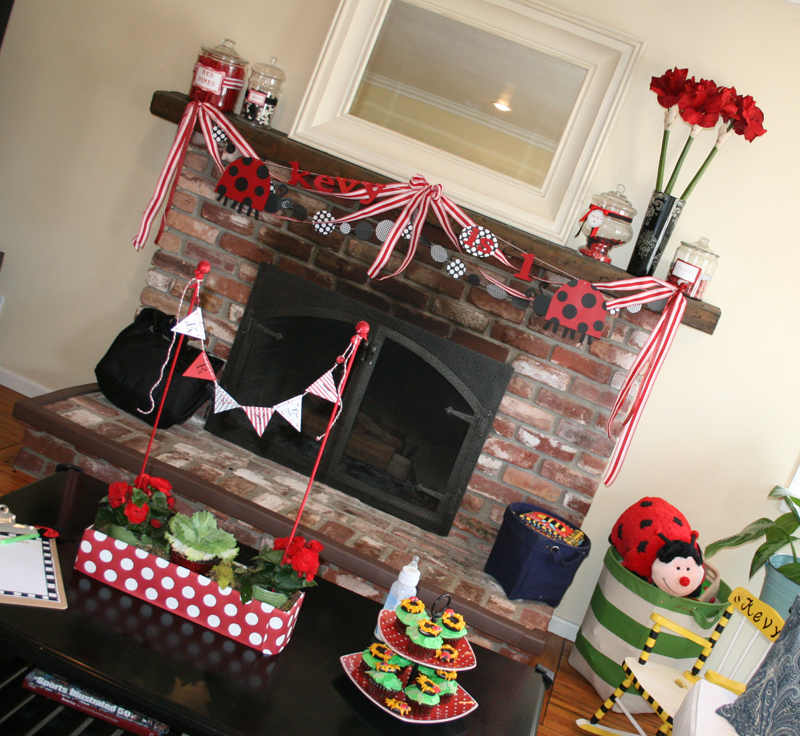 Red, white and black candies sat atop the mantle as well. They even put out the quilt I made for Kevy and brought to her on the day she was born. 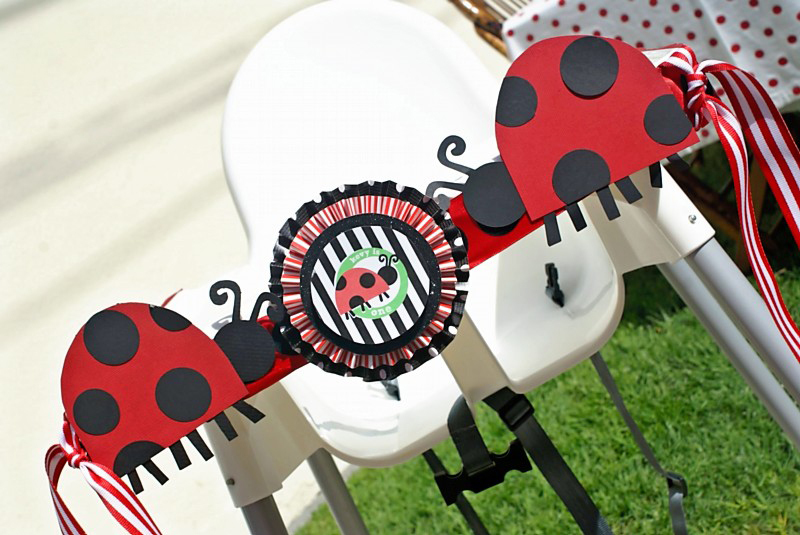 The guests were encouraged to “get their bug on!” and they had buggy antlers for adults and wee ones alike. 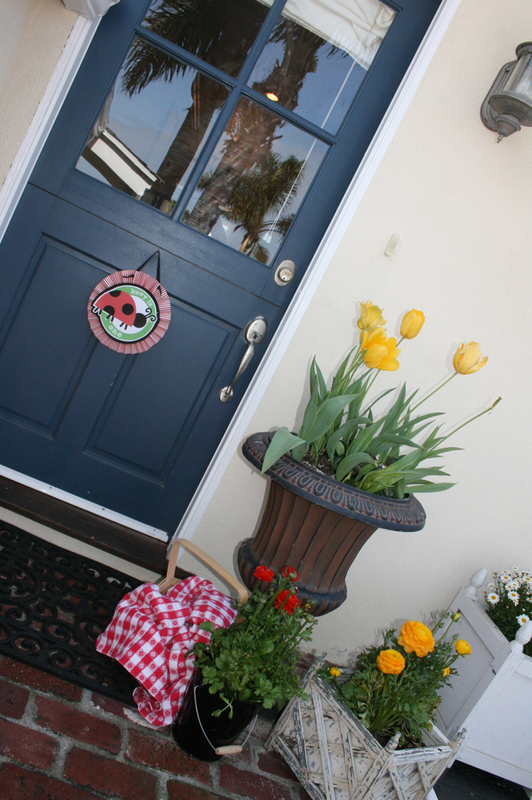 I see two ladybugs and one buggy-boy! How cute do these look? 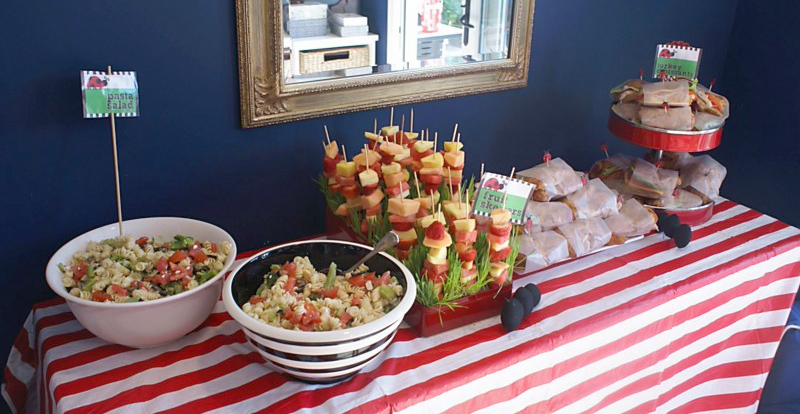 Lunch was a fun mix of turkey croissant sandwiches, fruit skewers, pasta salad, and chips. I love how they displayed these skewers! So clever! And how fun are those croissant picks? 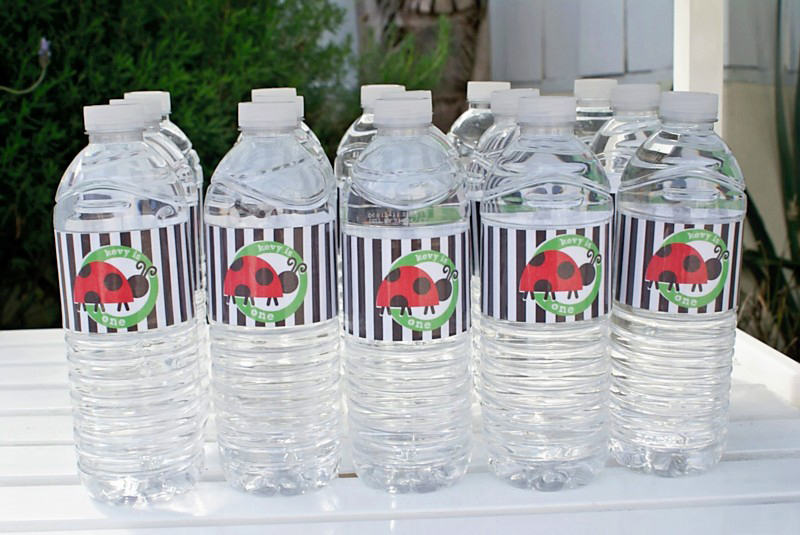 …like adorable water, of course! …but not before the birthday girl got first crack at it! Isn’t this the most dynamite trio you ever did see? Props were at the ready. 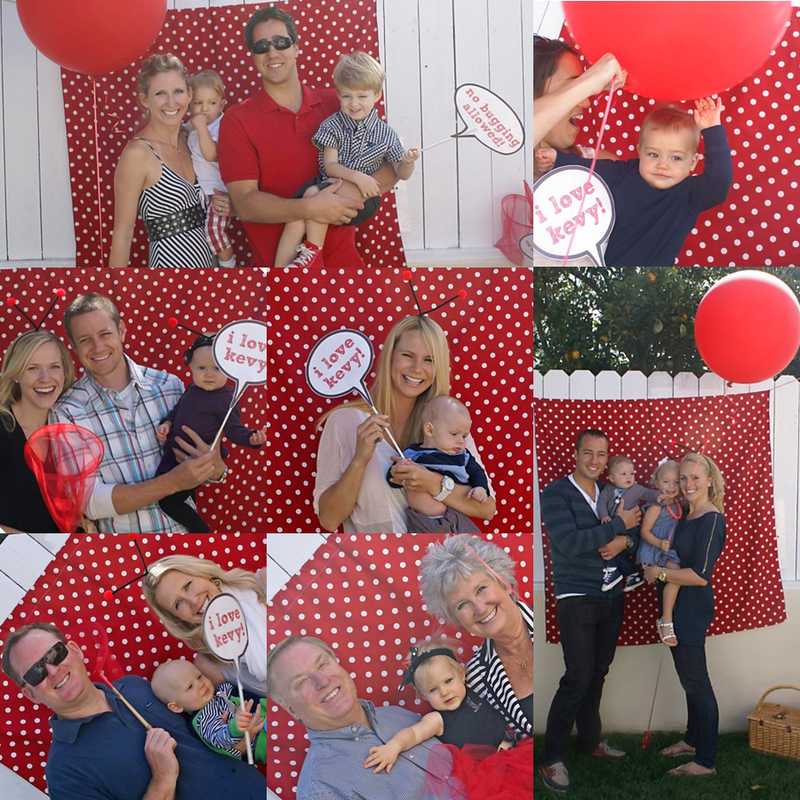 And everyone looked super cute in front of polka dots. But enough fun already! It’s time for dessert! How cute are these cupcakes? They found this idea in a cupcake book (if you know which one, let me know and I will give it credit! Can’t remember off the top of my head!) and I loved how they turned out. 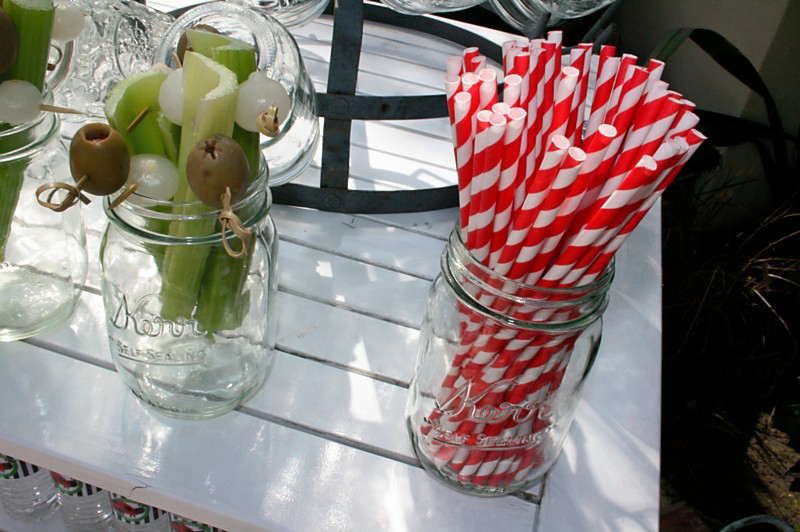 Perfect with the sunflower centerpieces. But the birthday girl got the biggest cupcake! Her cupcake topper was just perfect. And like a true lady, she barely got messy! I swear she is such a ladybug! I absolutely adored how they decorated the highchair! I mean, come on! I wouldn’t have thought to decorate that! Great idea! Those Ikea high chairs are the perfect blank canvas for cute, don’t you think? 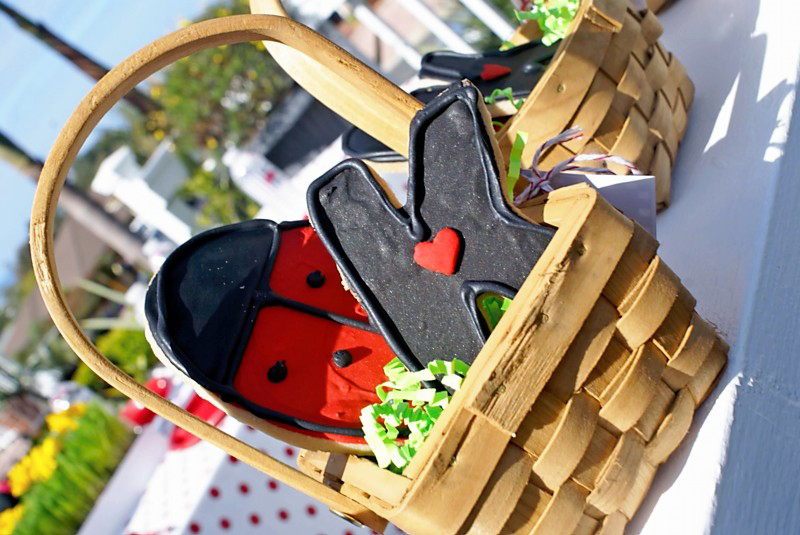 And as if this whole shebang wasn’t adorable enough, they sent each person home with their very own picnic basket filled with Lady K’s cookies! Such a fun presentation. They found these baskets for $1 each! Score! And yes, Crafty Jan made all of these cookies. Insane! 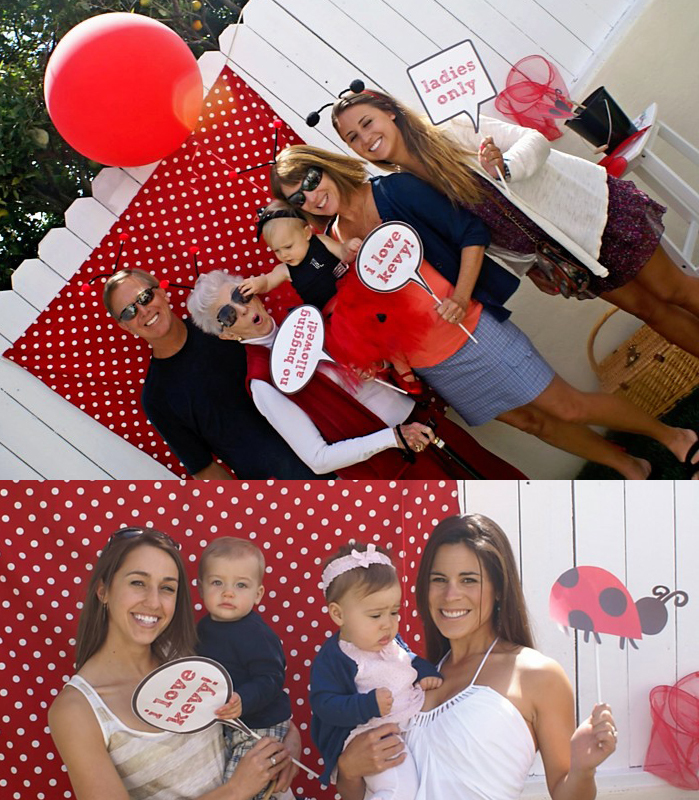 What a fabulous party for such a fabulous and beautiful little ladybug. 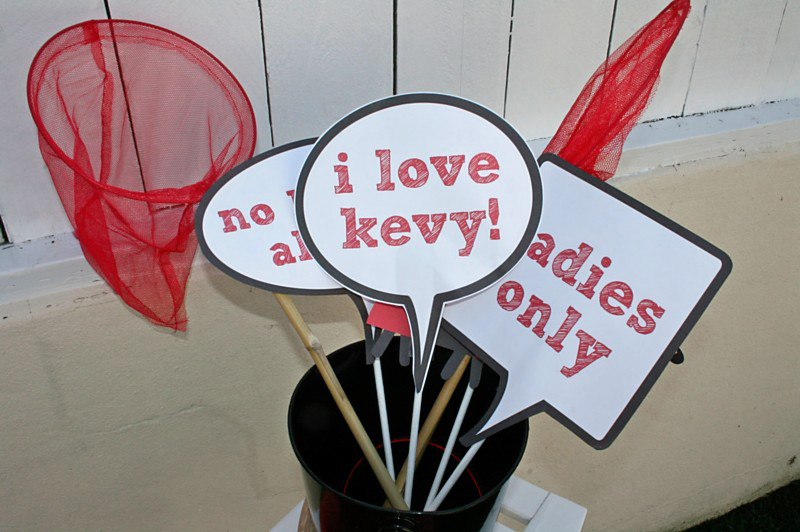 Yay for Kevy! 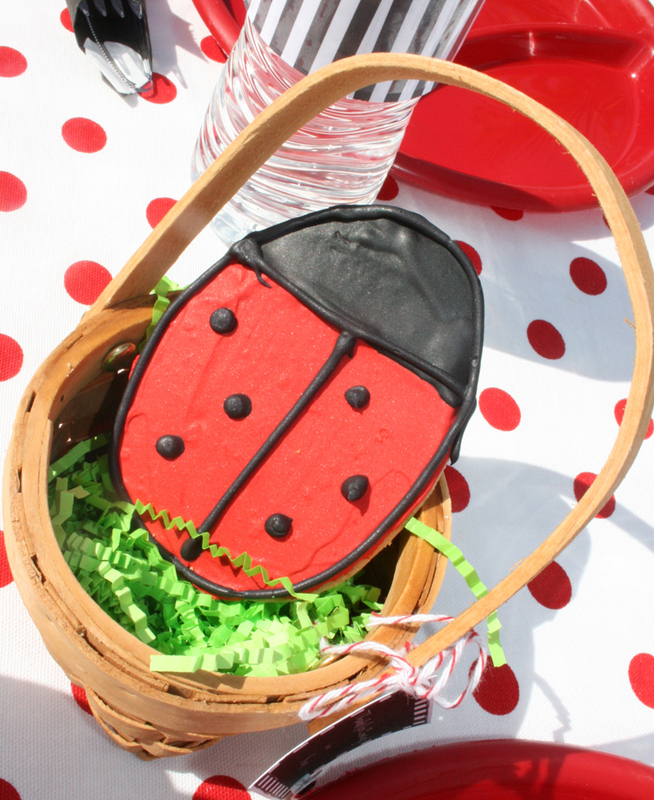 And hooray for the cutest little ladybug picnic I ever did see! 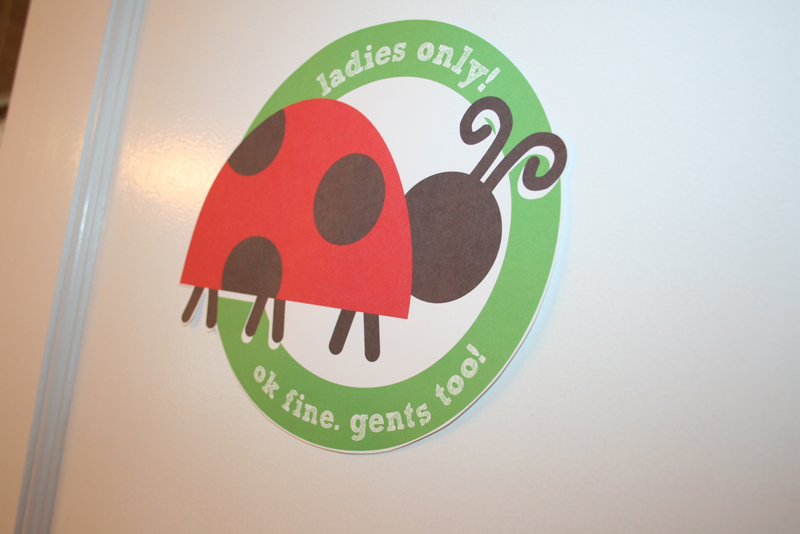 It was a day filled with fun, love, and the perfect amount of sass… even the sign on the bathroom was sassy! But wait, there’s more! Our very talented and photo-genius-y friend, Stephanie made this video/photo show of the day. It’s beyond too cute not to share! The song just kills me. Enjoy. 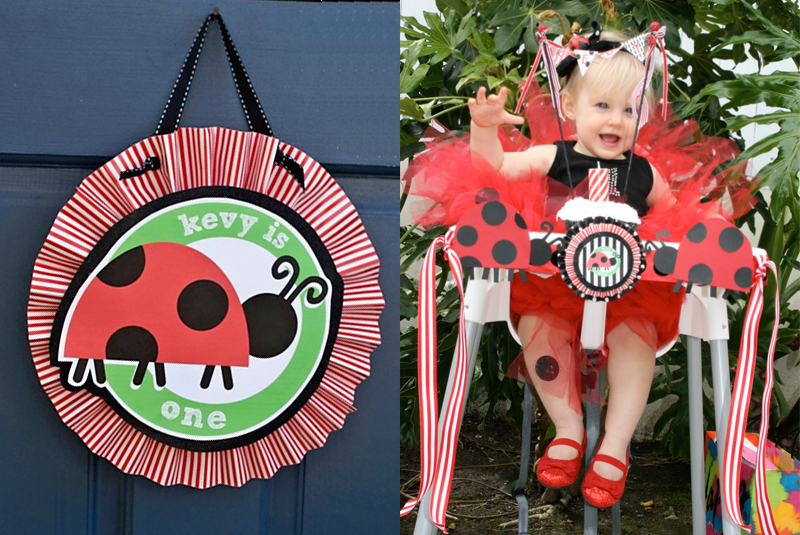 This entry was posted in kid's parties, parties for kiddos and tagged ladybug picnic birthday party, ladybug theme, ladybug themed birthday, red and black birthday party, tutu birthday party by Annika. Bookmark the permalink. shout out to YOU, auntie cakes! you did SO much and of course knocked it out of the park with all things ‘paper!’ correction on the red plates: i got them from the 99cent store over a year ago for elliott’s 30th! they were like 10 for a buck and are totally reusable! love them! Too cute! Love it! Such a creative and amazing family! Ben’s 1st birthday is coming up…the pressure is on 🙂 Hugs! Glad everything is well with you! Okay, wow! That party puts anything I can even imagine to shame! I LOVE those gift baskets–A-MAZ-ING! What a really blessed little girl! Love this! My little girl’s birthday party is coming up (eep, turning 8), so I came across your page while browsing picnic ideas for her party. 🙂 LOVE LOVE LOVE this theme. 🙂 We also call her lady bug! Wow, I have never imagined a theme like this but you are creative and superb with this! 🙂 Thanks for sharing this theme. Red is fab. 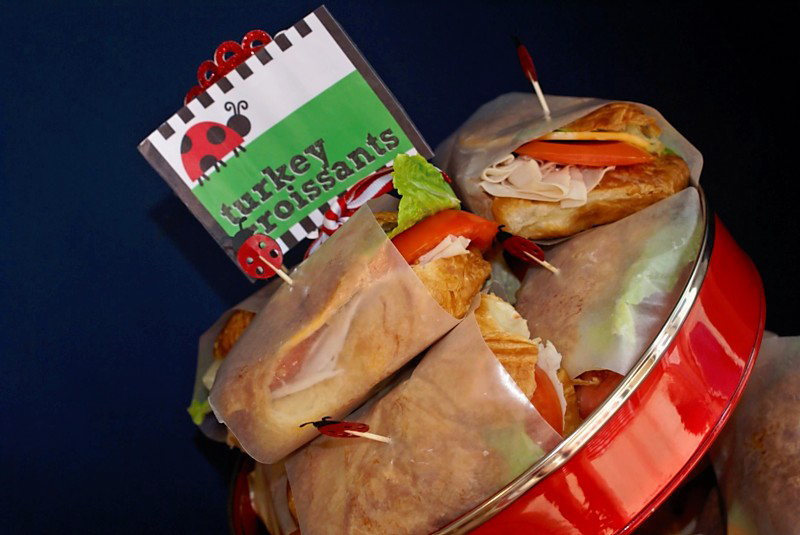 I love your ladybug sandwich picks. Did you make them yourself? If so, how did you do it? I also love the idea of the photo wall. Did you make the signs? How did you do that as well? 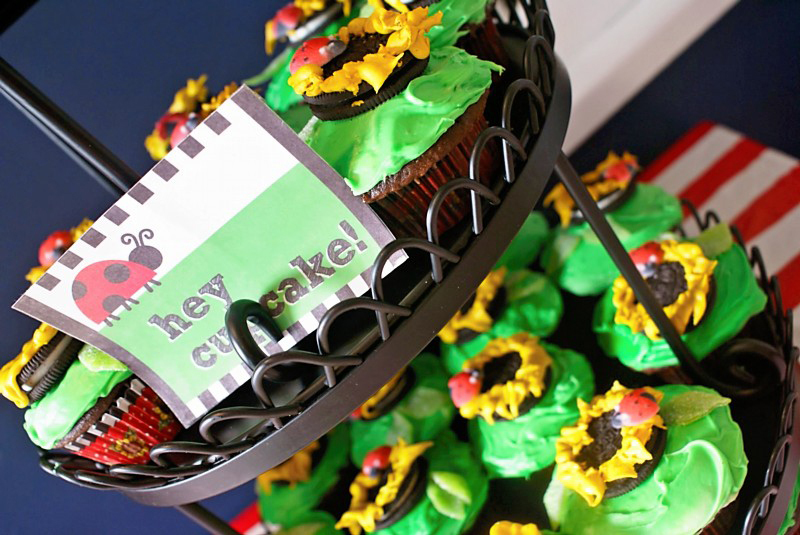 I would love to incorporate some of these ideas into my daughter’s 2nd birthday party. Thanks for writing! My mom made the sandwich picks using the “Cricut” machine. I made the photobooth signs using Adobe Illustrator. If you would like us to help you, email me at CakesLikesAParty@yahoo.com and I can set up an etsy listing for you! Hope that helps! 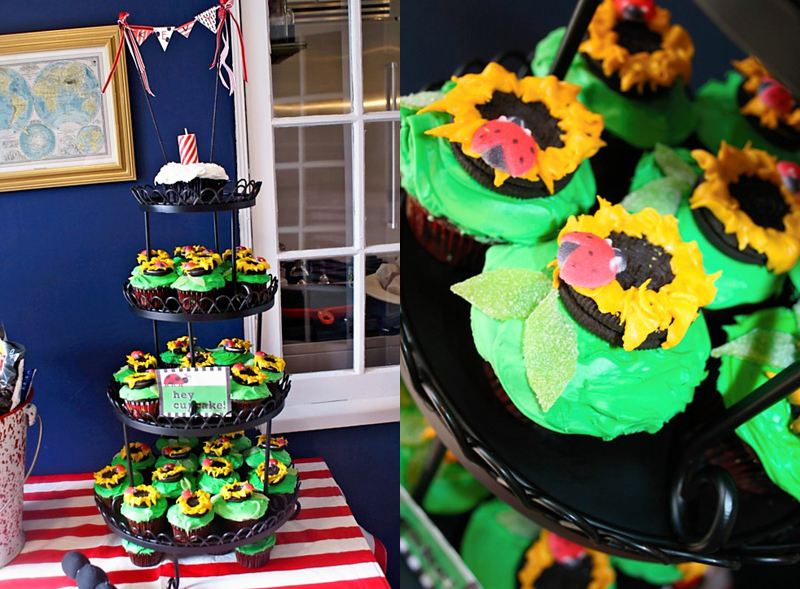 Oh my gosh, what an awesome party full of such creative details! 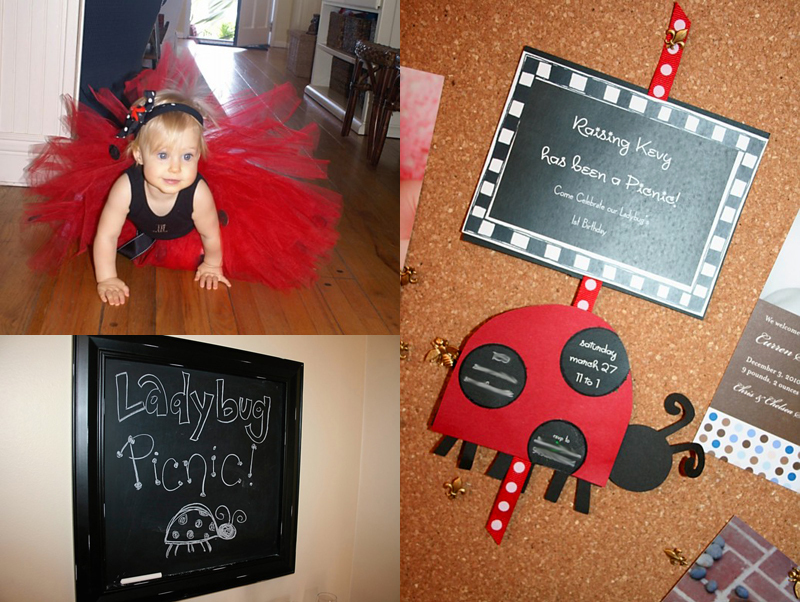 I am hosting a ladybug themed picnic for our toddle play group this Friday and will be borrowing some of your decor ideas! Also, who sings the ladybug song on the slideshow? Would love to play it during our picnic. Thanks! Isn’t it a cute song? 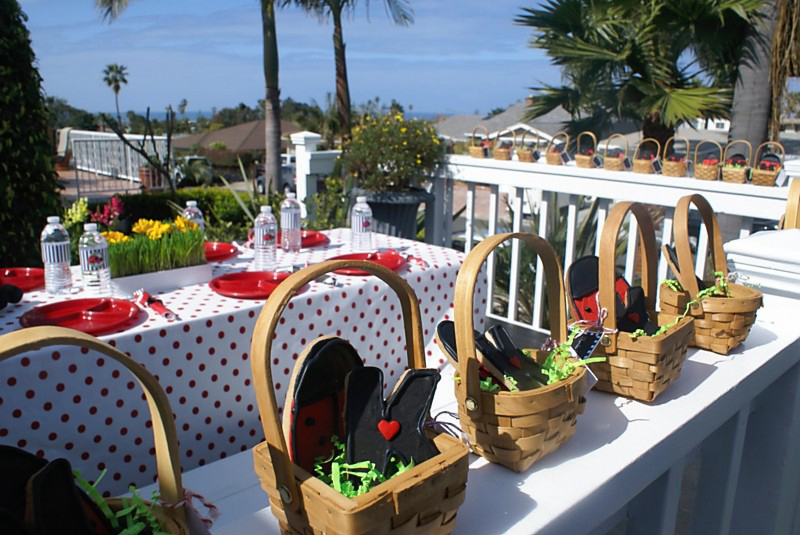 It’s called Ladybug by a group called “Rabbit!” Have a fun picnic! 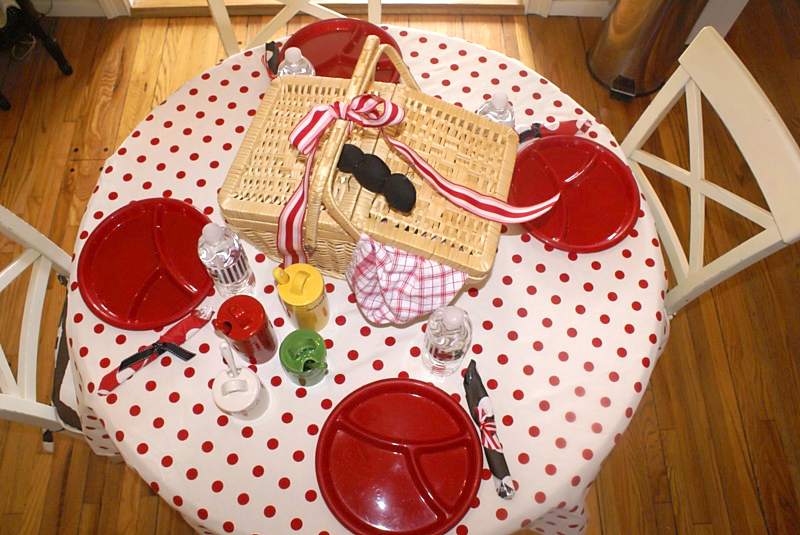 Can you tell me please where did you buy those beautiful picnic basket at $1? 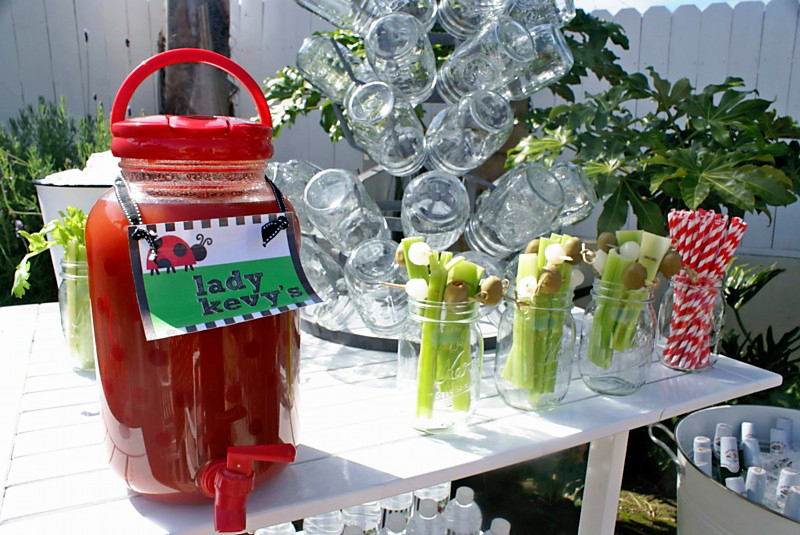 What did you use for the mason jar rack? I love the stand you used for cupcakes, where did you get it? Absolutely adorable!!! Can I get your email address? I am totally copying your ideas and I have a couple questions!! Thanks for sharing!!! Where did you get those adorable head boppers? Hi! What a beautiful party!! Just curious where you got the bug catchers? Thanks! I just love your creative centerpiece and table decor ideas! Where did you get the Ants on the table? 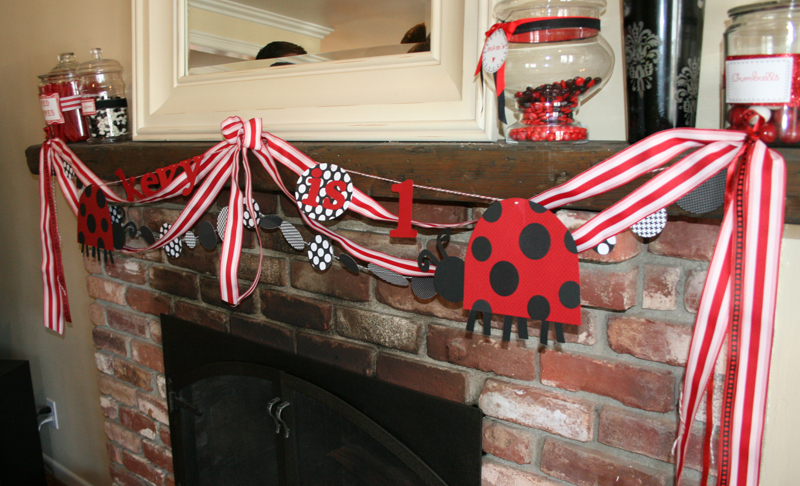 I am planning a ladybug party for my one year old. 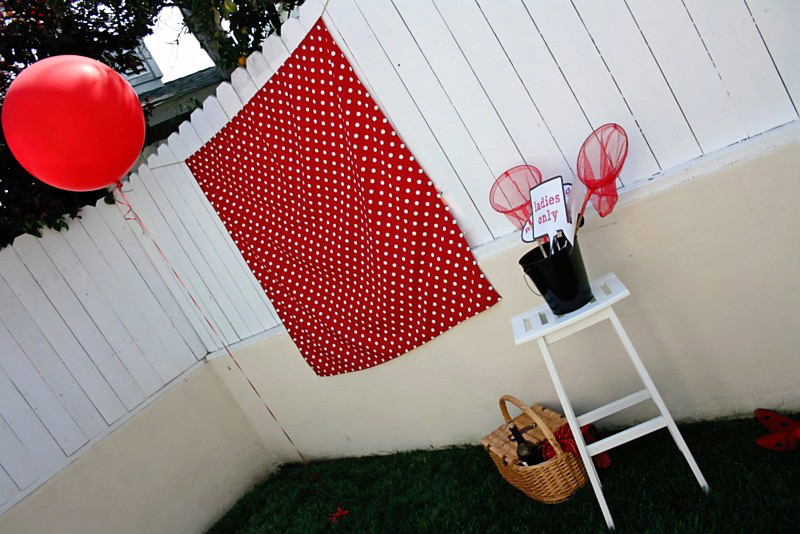 I love the idea of the photo booth with the sheet. Did you just have a friend there to take the pictures? 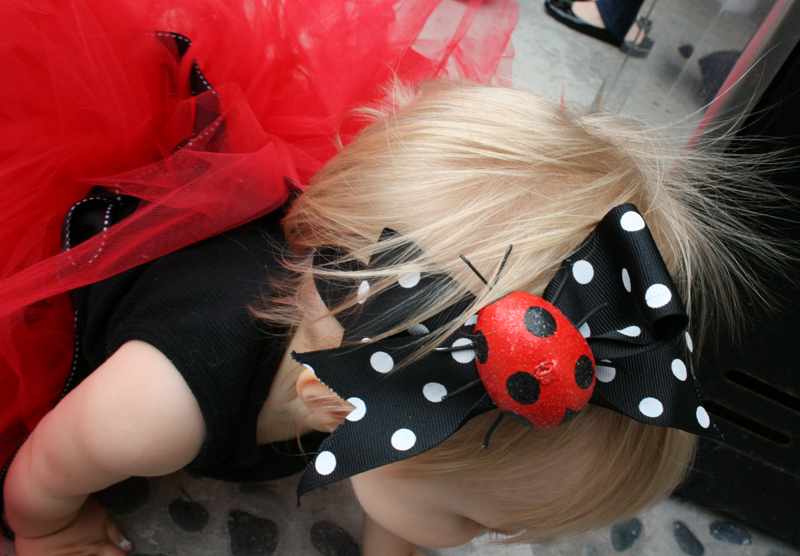 Hi Where did u buy the ladybug headbands??? Please let me know soon I need to get some for my daughters 1st bday. PS: Loved all your ideas!!! Hello, was so cute all the paty, crongratulations!!! I’m in love about this music, could you please tell the name of this music? 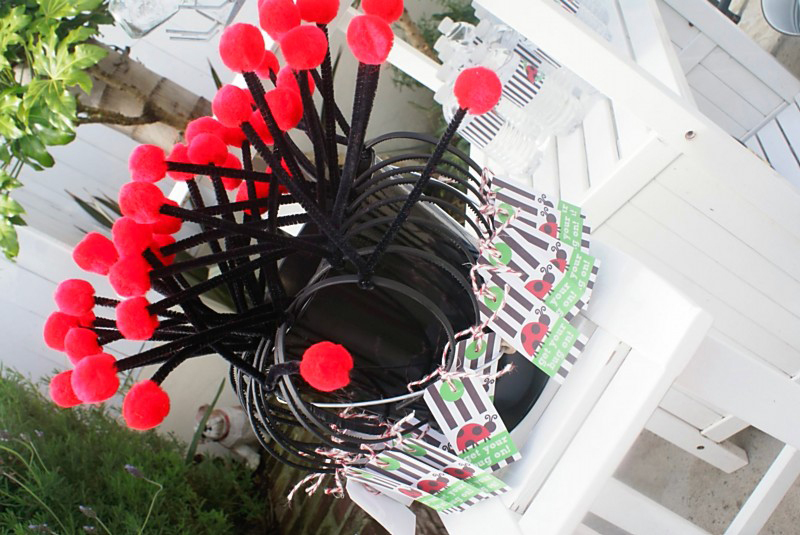 This idea was so fantastic, where did you find those baskets?